AI projects have already succeeding in building "machine-learning" robots that use artificial neural networks that use trial and error to learn about their environments. They can interpret natural language instructions and then go and fetch objects based on those instructions. Other robots can kick soccer balls based on object recognition and self balance, others can learn to transverse difficult terrain. Self driving vehicles, and self flying helicopters etc. As all these AI projects get more sophisticated they will eventually include other features like a mental life. Most experts in the area of consciousness, don't dispute that most features of consciousness can be simulated artificially in theory, the only feature of consciousness in dispute is Qualia. Which is defined as an aspect of being consciousness that can only be examined or experience from a first-person perspective. Therefore, this feature cannot be scrutinized from a third-person perspective scientifically. It is also equally hard to quantify from a first persons perspective... so some quarters categories this feature of consciousness as a primary "essence"... which may be universal and primary to everything. I believe this interpretation of Qualia is an illusion. It is far more likely to be an "emerging" property or feature of increasing complexity in a conscious system. In other words, we may not fully understand this feature until we start to fully simulate artificial consciousness in machines in all it's richness. Which would be at least a 20 - 50 years away in my opinion. We need to advance quantum conscious machine learning, we need to build learning machines which simulate mental life, and simulate emotions etc. Detecting emotional information begins with passive sensors which capture data about the user's physical state or behavior without interpreting the input. The data gathered is analogous to the cues humans use to perceive emotions in others. For example, a video camera might capture facial expressions, body posture and gestures, while a microphone might capture speech. Other sensors detect emotional cues by directly measuring physiological data, such as skin temperature and galvanic resistance. Recognizing emotional information requires the extraction of meaningful patterns from the gathered data. This is done using machine learning techniques that process different modalities, such as speech recognition, natural language processing, or facial expression detection, and produce either labels (i.e. 'confused') or coordinates in a valence-arousal space. If you want to learn more about Consciousness... from an AI expert read this... Basically he argues that consciousness is a superposition of many different system processes. e.g. different kinds of perception, learning, knowledge, attention control, self-monitoring, self-control, etc." ashley72 wrote: Most experts in the area of consciousness, don't dispute that most features of consciousness can be simulated artificially in theory, the only feature of consciousness in dispute is Qualia. I'd be hesitant to label these people as 'experts' until they come up with actual groundwork that they can prove. As I said in the other post, I believe you that they probably will make a form of conscious robots, but it still won't explain HOW consciousness comes from the brain, or how a piece of meat can produce what we call 'subjective experience'. All it is doing is explaining the RELATIONSHIP between the brain (computer) and the Consciousness, but just because they can simulate consciousness in a robot does not hold ANY proof that what we experience as subjective Awareness is a product of matter. You might think the interpretation of Qualia is an illusion because it fits in well with your material model of reality, but calling something an 'illusion' is the same as saying...."I have no idea". Ultimately, there's no proof of this what-so-ever. There are numerous other scientists who disagree with your position as well. Assumptions are perfectly fine as long as you're open to being wrong. I would say the same to people who 'assume' that Consciousness comes from BEYOND the brain. Ash said:We need to advance quantum conscious machine learning, we need to build learning machines which simulate mental life, and simulate emotions etc. Why? Why do you feel that we 'need' to. If folks would truly understand consciousness, and the mental life and emotions - would there really be a 'need'? The Earth, and life for all the species, is perfect as it is, only humans think otherwise by the very thing you would create in a machine - by their mental life and their emotions. On topic then whatever 'problem' it is that you would use these machines for - would not go anywhere because they are created in the mind and reinforced with emotions. Also, more seriously, if that were to happen, we would all be out of work! enlightened2B wrote: As I said in the other post, I believe you that they probably will make a form of conscious robots, but it still won't explain HOW consciousness comes from the brain, or how a piece of meat can produce what we call 'subjective experience'. Did you read the article by Minsky? Unless you consider most of the issues he raises on the topic of Consciousness you're not even scratching the surface. He addresses many of the limiting ways people view Consciousness. Consciousness is not a single "essence" of subjectivity... To understand what Consciousness means you to need break it up into all the collective processes that people umbrella it under. 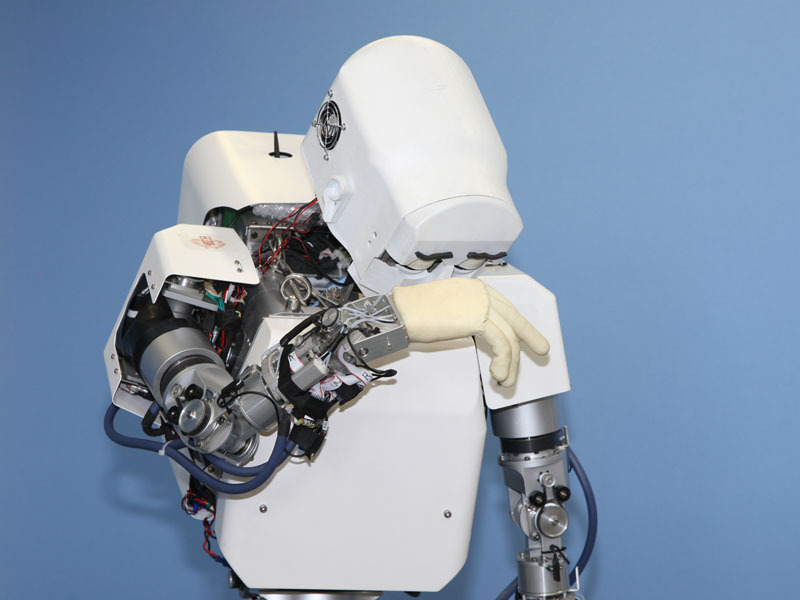 Robots can already do features of consciousness that fall under the umbrella term. Which already demonstrates that consciousness is not a primary essence. There is no evidence to suggest that many aspects of consciousness won't be simulated one day in machines. This thinking is --- I'll go with Arthur - farting apes making a fuss about nothing. Artificial consciousness will likely have different pros/cons to its biological cousin. If you want machine learning with all the richness of biological learning systems, consciousness is most likely a consequence of building those systems. I have not read it yet. Didn't have a chance. Saw it was a very long piece. I'll read it tonight. This conversation feels very "Terminator" to me. Also, when the older models are out dated will they have "rights" to "live" as they choose? Who will care for them, with new parts and such? Will there be homeless robots begging for change on the corner? Yeah, I'm crackin' myself up, sorry. There is a funny side to robots or machines superseding humans... but there is also a serious side as well. 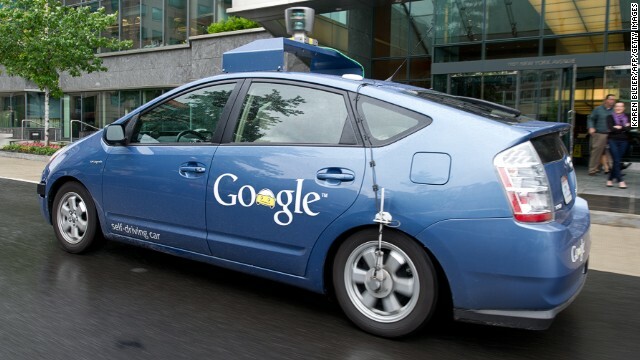 Take for example this article about Google's self-driving vehicle. "A self-driving vehicle can pay attention to all of these things in a way that a human physically can't -- and it never gets tired or distracted," Urmson wrote. "As it turns out, what looks chaotic and random on a city street to the human eye is actually fairly predictable to a computer." With irresponsible driving, drinking driving, driving while texting, driving fatigue on long journeys.... self-driving vehicles have the potential to seriously slash the death toll on the roads in the future. There are pros and cons for AI... that is for sure... having a house robot with a mental life that has a hissy fit, because it didn't get the same soft-toy for Christmas as the robot vacuum cleaner, certainly has a funny side! ashley72 wrote: There are pros and cons for AI... that is for sure... having a house robot with a mental life that has a hissy fit, because it didn't get the same soft-toy for Christmas as the robot vacuum cleaner, certainly has a funny side! Well, my robot best buck up, cuz I have a lot of cooking, cleaning, yard work in my plans...and I want no fussing, whining or crying about it! I read the article and I'll be honest that I just don't really understand what most of it is talking about because it's largely over my head. It seems to claim that Consciousness doesn't really have a clear definition (according to Minsky) and then goes on about modes/mapping/models and how this creates our mental world, and then goes on to say that consciousness does not really exist (aka the Daniel Dennett references), but is merely only a combination of systems and models which really does not explain anything. Leaves a lot unanswered and has a lot of biased misconceptions if you ask me about other theories of consciousness. To really understand this to actually comment on it, I would assume one would really need to be well versed in neuro science to some degree which I am not. Anyway, thanks for the link Ashley. The main take away message from Minsky is that people mistakenly "umbrella" consciousness into one "single" or primary essence when it is clearly a multitude of different complex processes going on within the brain. I really don't think you could spell it out anymore clearly than Minsky has systematically done with "Joan".